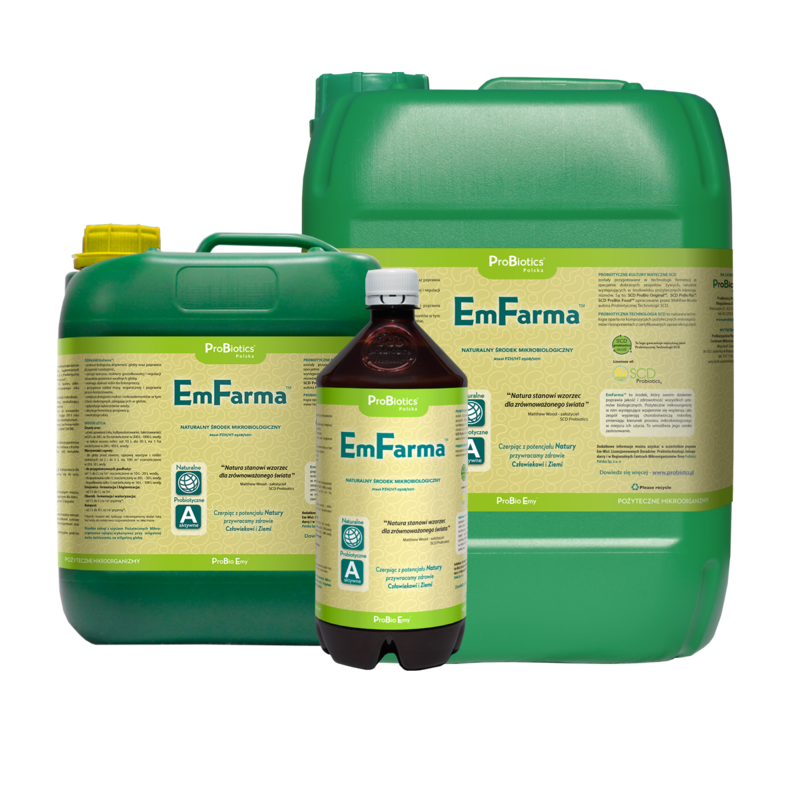 EmFarma™ is a composition of beneficial, natural and non-genetically modified microorganisms. 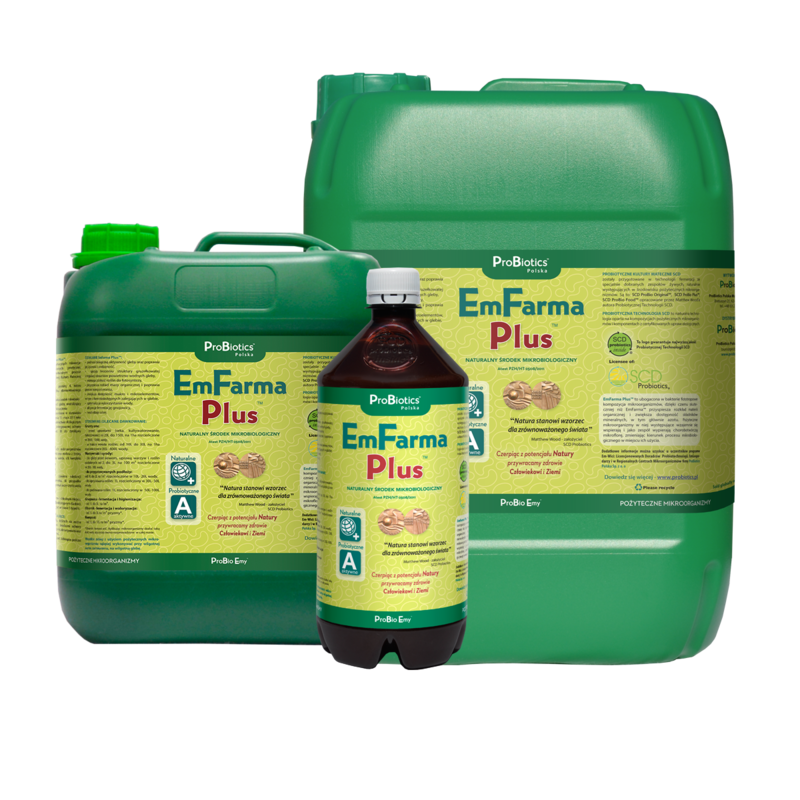 EmFarma™ is a product that improves the quality and health of all biological systems. The beneficial microorganisms that it contains support each other and, working together, displace pathogenic microflora, thus changing the direction of the microbiological process to a regenerative or revitalizing one in the place of its application. This allows for EmFarma's extensive use. The broad spectrum of EmFarma's action allows for its use in agriculture and revitalization of the environment. Mother Cultures of live microorganisms SCD ProBio ORIGINAL®, organic sugar cane molasses, purified and structured, unchlorinated water, salt, mineral complex.